The title of the tree can be modified here. Click here for more information about defining titles. If this is selected, the tree control will be a mandatory field. 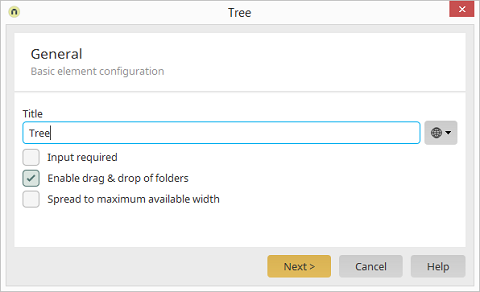 If this is selected, folders can be moved to another position in the tree via drag & drop in the browser.